The Canon ImageClass MF7280 is worth adding to your office. It's about as small as a regular printer but contains multi-features to accommodate all of your business needs such as; faxing, laser printing, network color scanning, and a duplex copying. The printer is capable of dishing out 20-25 pages every minute while maintaining high quality documents. 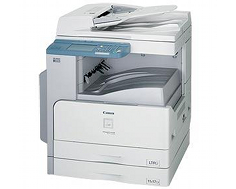 The Canon ImageClass MF7280 is suitable for small organizational offices and busy home offices. The heavy-duty machine is designed to facilitate the productivity of busy work environments when the smaller printers can't hack it. The networking capabilities are fine tuned to handle multiple documents with ease and swiftness. The max copying resolution is up to 1200 dpi, optical resolution up to 600 x 600 dpi, and the printing resolution is up to 1200 x 1200 dpi. The PC fax is a godsend for most busy workers; it allows you to send electronic computer documents via fax, conveniently from the computer. It has the ability to execute network printing with Printer Command Language 5s and 6s. Color scanned documents can be sent via email, scan-to-fax, and scan-to-file-server. The Canon ImageClass MF7280 is compatible with Windows 98, Windows Millennium Edition, New Technology, Windows 2000, Windows XP, Win2k3 and later Windows Operating Systems. The standard interface utilizes USB 2.0 ports, and Internal Ethernet with modem speeds supporting up to 33.6 Kilo Bytes Per Second. The built-in Ethernet is made for PC faxing and printing duties. It takes less than eight seconds to make a copy of a document and has a memory capacity of 1,000 pages. The 200 one-touches and 300 coded dials makes speed dialing a breeze. The features also include a 100-sheet multi-purpose tray and two front-loading paper cassettes to support 250-sheets each. The impressive management features allow the owner to set up access for other computers within the vicinity by assigning IP addresses to the units and the printer. The printer can be operated by computers in-house and Remote User Interfaces engaged within the structure. 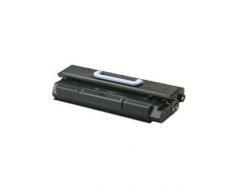 The printer facilitates various networking set-ups. For instance; direct USB connection to a PC, printer Ethernet wire to a hub supporting multiple computers or even a direct line to the main terminal that facilitates a network of computers wirelessly. It depends on the level of IT security you need to implement; it can be specially modified according to the business or home infrastructure. The Canon ImageClass MF7280 printer is 24.5 inches in width, 26.6 inches in depth, 29.8 inches in height, and weighs around a shocking 130 pounds. You might find yourself body building from tugging around the printer whenever you need to move it somewhere else. The printer requires 1600 watts when operational and could substantially hurt your bottom line if you use the printer constantly, because it can raise the costs of electricity bills. The printer costs around a few thousand dollars depending on the retailer, but still, it's quite expensive. The printer may not be compatible with Linux and Mac platforms but that assessment is not set in concrete. There is no wireless connectivity, and an Ethernet or USB connection needs to come from the printer to a hub or the main CPU. The software drivers are extremely limited. The Windows New Technology OS does not support the UFR 2 printer driver located on the CD-ROM. Faxes cannot be sent via USB with Windows NT. USB connectivity imposes limitations on automatic printer configurations and Job Accounting features. The Installer cannot be used to install fax drivers via USB port. Setting up the computers for compatibility with the drivers is very limited and seems like a complex maze of compatibility specific issues. Review it: "Canon imageCLASS MF7280 "
The Canon Cartridge 105 has a maximum monthly duty cycle of 50,000. 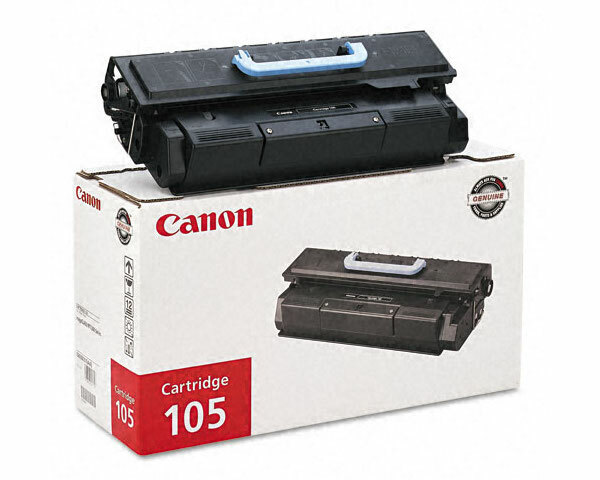 Canon Cartridge 105s will yield 10,000 pages based 5% coverage. The Canon ImageClass MF7280 only requires the stocking of one consumable that employs the use of both, the drum and toner. Users can easily replace and install single cartridges.